Dr. Wilke graduated from Iowa State University, College of Veterinary Medicine, in 2003. She worked at a small animal practice in West Des Moines, Iowa until 2011, when she acquired Iowa Veterinary Wellness Center. 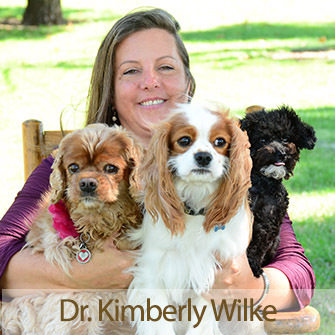 Dr. Wilke received her training in acupuncture from the International Veterinary Acupuncture Society (IVAS) in 2008. She completed her internship and published her case report to become certified in veterinary acupuncture in 2011. She spends numerous hours every year in continuing education classes updating her knowledge base. She lectures frequently at college, local and public levels. Dr. Wilke enjoys spending her time with her husband, Chris and her two children Shannon, and Ethan as well as her three dogs, Frankie, Max and Zoey. During what is left of her spare time, she enjoys reading, gardening and pursuing her photography passion. 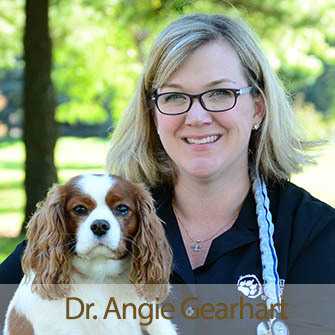 Dr. Angie Gearhart graduated from Louisiana State University School of Veterinary Medicine in 1999. She practiced small animal medicine in a primary care practice in Arkansas for 8 years. Dr. Gearhart and her family moved to Des Moines in 2007. From 2007 to 2016 Dr. Gearhart worked as an emergency veterinarian at a local Des Moines emergency veterinary hospital. During this time she also did part time work at various local veterinary hospitals. Dr. Gearhart joined Iowa Veterinary Wellness in January of 2016 part time and then as a full time associate in September of 2016. During her spare time Dr Gearhart enjoys spending time with her husband Jim and her sons Will and Jack. Her family enjoys watching the LSU Tigers play with the local LSU alumni group. Dr. Gearhart’s children play competitive soccer so she and her husband travel around the Mid West watching them play. She also enjoys reading, going to movies and spending time with friends. Dr. Gearhart officially became certified in veterinary acupuncture in 2017. She is now both a DVM and a CVA. Dr. Stafne graduated from Iowa State University, College of Veterinary Medicine in 2016. She concurrently completed a Master of Public Health from the University of Iowa. She practiced small animal medicine at a mixed animal practice in Lake City, Iowa before joining Iowa Veterinary Wellness Center in January, 2018. Dr. Stafne has a particular interest in veterinary dentistry. She spends numerous hours each year enhancing her knowledge of dentistry to provide advanced dentistry techniques. 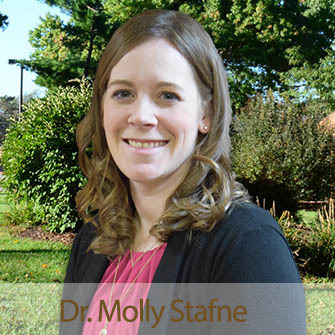 In her spare time, Dr. Stafne enjoys spending time with her friends and family in the Des Moines area. You can often find her cheering on her Green Bay Packers, baking, cooking, gardening or cuddling with her cat, Jordy.